Fibromyalgia is a chronic painful disease of musculoskeletal. It is a chronic medical condition with severe pain widespread all over the body or at some specific points known as tender points. There is no cure for fibromyalgia till date. It is not only a disease but a collection of symptoms that sometimes seem like a disease itself. The pain is so severe that it can cause the sufferer to feel lonely, anxious and depressed. They might have terrible nights that leads to terrible days. About 2% of the U.S. population is suffering from fibromyalgia. About 90% of the women with fibromyalgia are known to have psychiatric illness than the normal people. In a study at Copenhagen university Hospital led by Dr. Lene Dreyer found that among a population of fibromyalgia patients most of them were women. He compared hospital records of some hospitals. The symptoms of fibromyalgia include widespread chronic pain, headache, sleep disorders, memory disorders, fatigue, stress, anxiety, depression, stiffness in legs, irritable bowel syndrome, mood alterations, numbness and tingling sensation in limbs, electric shock sensation, inflamed skin, etc. It affects the daily life of the sufferer leading to frustration and anxiety. Apart from the symptoms on fibromyalgia, suicide is also a concerning issue in fibromyalgia patients these days. Fibromyalgia makes the life very stressful, depressed and frustrating. With better understanding of the disease and its symptoms one can be prepared to handle or cop up with the disease and its associated symptoms. With increased understanding of the disease, there is always a chance for increased prevention of any negative thoughts through effective treatment and possible interventions. People suffering with fibromyalgia have more than just a disease. Many researchers relate suicidal thoughts with fibromyalgia. Danish researchers found that women diagnosed with chronic pain condition were more likely to have suicidal tendency than the normal population. Can Fibromyalgia Lead to Suicidal Thoughts? Are the Two Related? Recent findings support the view that fibromyalgia is associated with an increased suicidal mortality rate. Being a woman and suffering from fibromyalgia can also be one of the various reasons for suicidal behavior. Since the disease is more common in women than men women are more likely to have suicidal thoughts. 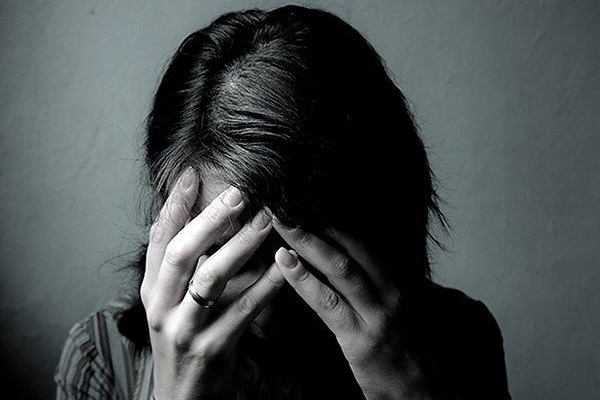 It has been also found that 40% of the fibromyalgia sufferers also suffer from depression. A depressed person is more prone to suicidal thoughts and attempts. Other reasons for suicidal thoughts or attempts can be experiencing chronic pain, sleep disturbance and distress. People with fibromyalgia feel that it is better to end up life than to suffer with the disease daily. They feel stressed, sleep deprived and depressed. They find suicide as a solution to the whole problem. There are not much literature or research works available on suicidal behaviors and their relationship with fibromyalgia. In a recent study, it was found that 40% of the fibromyalgia sufferer can have suicidal thoughts. It was also found that thoughts of suicide are not related with the severity of the pain but due to feeling of depression, anxiety, fatigue and sleep. Two studies based on two large populations, one from Denmark and another from the United States published in two different journals Arthritis Rheum. And Arthritis Care Res. Respectively have shown that fibromyalgia is associated with an increase frequency of death from suicide. Another study performed in Spain and published in the journal Rheumatology, 2011 showed that there is a high frequency of suicidal attempts among the fibromyalgia sufferers. Yet another research conducted at University of Granada and University of the Basque Country in Bilbao, Spain revealed that idea of suicide was more prominent in patients suffering from fibromyalgia. This study was published in the journal Pain Practice under the title “Suicidal Ideation in Patients with Fibromyalgia: A Cross-Sectional Study”. It is very important to remove all negativities from the mind as negative thoughts lead to depression and these never solve a problem. Positive attitude towards the disease can help in minimizing stress, depression and anxiety. It is very important to fight fibromyalgia with optimism. A positive mind can fight any disease.Negative thoughts make the problem bigger than they seem to be. Fibromyalgia will certainly cause problem in everyday life but by changing the perception towards the disease can somewhere releases the negativities from the life. Being realistic and approaching the disease with excepting the disease can help in being positive and fighting the disease with less pessimism. As already stated above, fibromyalgia is a complex disease that leads to many other complicated symptoms. Some people become too restless and surrender themselves to the disease while others may have positive spirit and choose to fight with the disease. In the second condition, the positive approach helps in combating frustration. The fibromyalgia patients should be kind to themselves. People might come up with several solutions to the fibromyalgia but it is very important to choose what is right for the sufferer. Consulting a doctor and listening to him/her can be a better option that listening to other people. The sufferer should have a belief that he/she can fight with the disease. The sufferer should praise himself/herself for small accomplishments and understand the weaknesses too. Fighting fibromyalgia with a positive spirit and keeping in touch with loved ones who are optimistic can be very helpful in fighting with the disease and removing any suicidal thoughts. Educating oneself about the disease. Gathering information from reputed websites can help in increasing knowledge about the disease. Taking warm bath in the morning to relax the muscles. Eating healthy and clean food. Avoiding any kind of junk food. Going out or spending time with loved ones. Communicating with people regarding the disease and how to minimize the symptoms. Doing some physical activities such as stretching, walking, yoga, etc at least thrice a week in the morning. Setting an appropriate sleep time and following it. Meditating and doing deep breathe exercise daily removes negative thoughts. Maintaining a schedule and following it on everyday schedule can help reducing fatigue. Overwork should be avoided as it may lead to fatigue that flairs up the symptoms of fibromyalgia. Resting and relaxing is important and should be carried out every day to avoid fatigue. Many people relax themselves by listening to music, reading books, creating an art, playing a game or with a pet and anything that can bring joy and happiness. Many people who love to socialize may also go out with friends and spend quality time together even with fibromyalgia. Calling friends and family at home and chatting with them can be relaxing sometimes and may deviate mind from the pain. With fibromyalgia, anything is not that easy. Chronic pain can ruin any happy occasion and lead to stress. Thus, it is always advisable not to go very far away from home. Staying at home with pain might be boring, frustrating and depressive at times but participating in activities such as walking, going out in garden, etc can be beneficial. Even if after taking all the appropriate measures the sufferer has negative thoughts he/she might consult a professional and talk to close ones regarding the thoughts. How can Physical Activities Help in Minimizing Negative Thoughts? Physical activities such as stretching, walking, swimming, playing, doing household chores, etc helps in reducing negative thoughts by keeping the mind calm and relaxed. People with chronic widespread pain should consult a physical therapist or trainer to design a personalized physical activity plan for the sufferer because overwork can negatively affect the body. Yoga and meditation also relaxes body and mind and releases all stress and frustration. Massage therapy also plays role in removing negativities from the body. It relaxes the muscles and reliefs from pain. Other most important and helpful therapy is psychological and behavioral therapies. These therapies help in changing the thinking pattern of any individual and can help in coping with pain. For example, cognitive therapy. This therapy helps to gain control over pain and reduces any negative thoughts from the mind. It teaches how to control pain, anxiety, stress, anger, etc. Deep breathing exercises help to relax muscles and ease muscle tension. It is very important to minimize pain and depression at the same time because pain enhances depression by making it worse. Anti-depressants and pain killers are also helpful at times. To minimize suicidal thoughts, it is important to inculcate positive thoughts in the mind of the sufferer. Changing lifestyle to a healthy one and doing physical activities is always helpful. I wouldn’t be here now if it wasn’t for my son, he’s the only thing which keeps me going. My fiancé left me last October and broke my heart but the stress and depression of that has made my symptoms worst and I’m bed bound most of the time. I share custody 50/50 with my ex husband and luckily he has the days out and excitement with him and in my days he wants to relax and play on his PlayStation with his mates or go into town with them. I believe that the suicidal thoughts come from the way the patients are treated by the medical profession, their told that their lying and that the pain is all in your head and leave the Dr’s office in severe pain with tears running down your face because of the way you were treated by someone you went to for help which turned out to be a waste of time leading to more stress which equals more pain and more depression knowing that your not recieving the medical help you need to go home and read more about this illness gaining more knowledge than any Dr you will see leaving you wondering why no Dr knows any of this information that is readily available online, maybe they can’t be bothered, don’t believe you, or just don’t care, sure they’ll tell you to exercise, but your in severe pain, any slight movement leaves you screaming crying in agony, how does that help? None of it makes any sense, it’s an absolute shame, leaving a person to suffer in such a way is totally inhumane, no one should be left alone to suffer in share agony with not even support from your own Dr or any Dr for that matter leaving you with no emergency room options because you’ll only get ridiculed, judged, and turned away, who wouldn’t contemplate suicide should be what your asking.